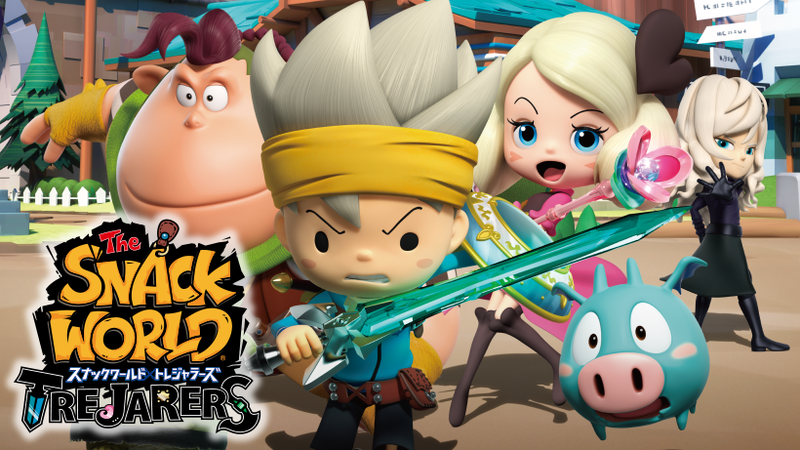 In a press release by Level-5, the company has announced The Snack World Trejarers, which just launched on Nintendo 3DS in Japan earlier this month, will be getting two packs of new DLC. The two packs of DLC will be available for purchase separately and also as a Season Pass. The first pack of DLC is titled “Series 1: Breaking through the Limit! Trial of the Dragon Knight!”, which unlocks a new story upon the completion of the main quest, a new dungeon, a new boss, a new Jara, a new Snack, and other items. It’ll be available from October 2017 for 900 yen. The second pack of DLC is called “Series 2: Devil King Of Destruction! Arrival of Demiglass”. Just like the first pack, it unlocks a new story, dungeon, boss, Jara, Snack, and other miscellaneous items. Distribution will begin in January 2018 and it will cost 900 yen. Planning to purchase both DLC? Save 300 yen by purchasing the Season Pass, which only costs 1500 yen. The Season Pass is now available, but you’ll have to wait for the DLCs to be released. As a bonus, players will get the “PikoPiko of the Year” weapon and 10 melon bread cookies.